Latest teaser image provides some more details on the most hotly-anticipated car of the year. The countdown has begun. In less than a couple of weeks, Mercedes-AMG will be lifting the wraps off one of the most talked about cars of the year at Frankfurt: the F1-powered Project One hypercar, touted as a race car for the road. With the reveal now fast approaching, the teaser campaign for the Project One is gathering pace. After treating us to a teaser video starring Lewis Hamilton, Mercedes-AMG has released a new image of the Project One, giving us our best look yet at the radical hypercar. Whereas the last official teaser image focused on the Project One’s rear-end, this new image gives us a first look at the Project One’s front face, showing a narrow cockpit, wide front arches and LED headlights, as well as an F1-inspired roof scoop. A prominent AMG logo can be seen embedded in the grille. 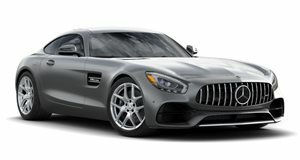 Unlike Mercedes-AMG’s current sports cars, the Mercedes logo is positioned on the hood rather than the grille, much like Mercedes’s current Formula One car. Speaking of F1, it’s been widely documented that the Project One is powered by the same 1.6-liter turbocharged engine that can rev up to 11,000 rpm used in Mercedes-AMG’s 2015 W06 Hybrid Formula One car. Should you be able to afford the rumored $2.4 million asking price, you’re unfortunately out of luck as all 275 models slated for production have already been allocated. There’s no doubt now that the Project One will steal the show when Frankfurt’s International Motor Show kicks off on September 12.